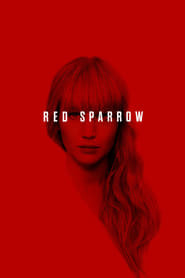 Red Sparrow A young Russian intelligence officer is assigned to seduce a first-tour CIA agent who handles the CIA's most sensitive penetration of Russian intelligence. The two young officers collide in a charged atmosphere of trade-craft, deception, and inevitably forbidden passion that threatens not just their lives but the lives of others as well. The Hunger Games: Mockingjay - Part 1 Katniss Everdeen reluctantly becomes the symbol of a mass rebellion against the autocratic Capitol.